When you think of a Certified Nursing Assistant, the first think that comes to mind is a care home setting. However, this is not the only job CNAs can have; since their basic purpose is to spend time with the patient and fulfill their basic personal and medical needs, they can work at a wide range of places and with a vast variety of patients. The most common place to start is patients admitted in the hospital for a few days or for an extended period of time fighting critical illnesses. These patients need a lot of attention, and some of these are too weak to carry out a lot of the daily functions on their own, and CNAs are perfect for helping these patients out. CNAs also most commonly work with the elderly, whether in nursing homes or the patient’s own private homes. Aged individuals with various health issues and basic old age weaknesses need constant care and companionship, and CNAs are perfect at helping them through the last few years of their lives. Whether it is a physical or mental disability, CNAs are perfectly placed to help these individuals get through life with ease. They not only help out with daily personal tasks and medical care but also spend time with them and keep an eye on their moods and emotions. They can either work in special facilities or in the individual’s private home. This is one of the CNA jobs that most people overlook. Individuals recovering in rehab are also going through a difficult time, and most of them need constant care and looking after. While the therapists help them with their issues, the CNAs can also listen to the patients and keep an eye on their moods to assist in their recovery. 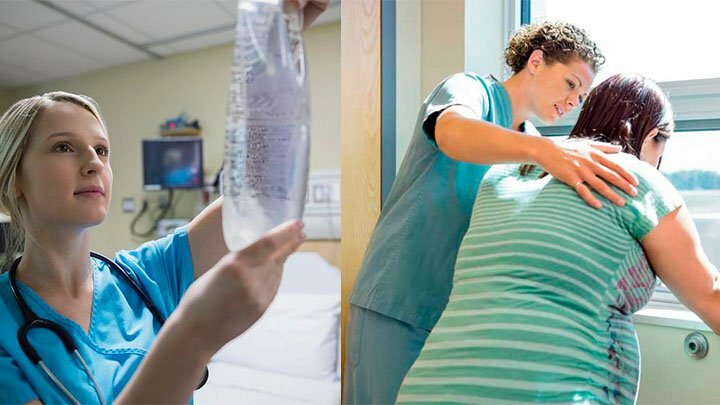 A CNA’s job is anything but easy, and it is something to be taken seriously. They play a vital role in helping patients recover, or at least have a better quality of life. A good CNA pays attention to slight changes in patient health and moods and knows when to report these changes to medical practitioners for further evaluation.